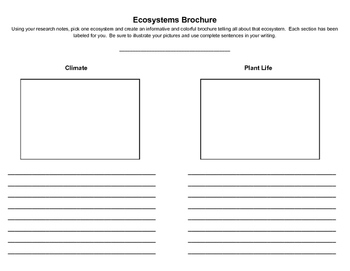 Do you need a project or way to assess your students knowledge of Ecosystems? This is just what you need. 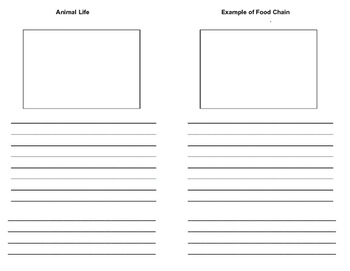 This is also a great graphic organizer for animal/ecosystem research. It includes 4 sections: climate, types of plants, types of animals and food chain. There is also a place to draw/illustrate/glue pictures! A title line allows them a chance to be creative with their informative brochure!